Here at Screeduct we offer a range of bespoke flush floor trunking systems. Floor trunking is essential in any public or commercial building. The trunking works by encasing cables or pipework beneath the flooring, protecting them from damage. Manufactured using a range of heavy-duty materials such as mild steel, galvanized steel and others, your trunking will last for years to come. A flush floor trunking solution gives a level finish to the flooring. This provides a safe and discrete cable management solution. 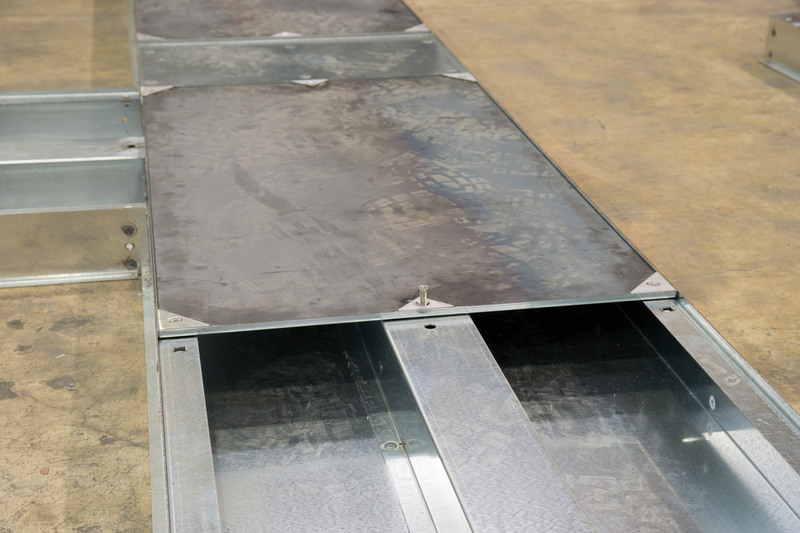 The ducting covers provide both access and flexibility. This gives the option of rewiring and moving outlet points if necessary. Whether the trunking is fit within the screed, or apertures are left for installation at a later date, there is a complete solution for you. 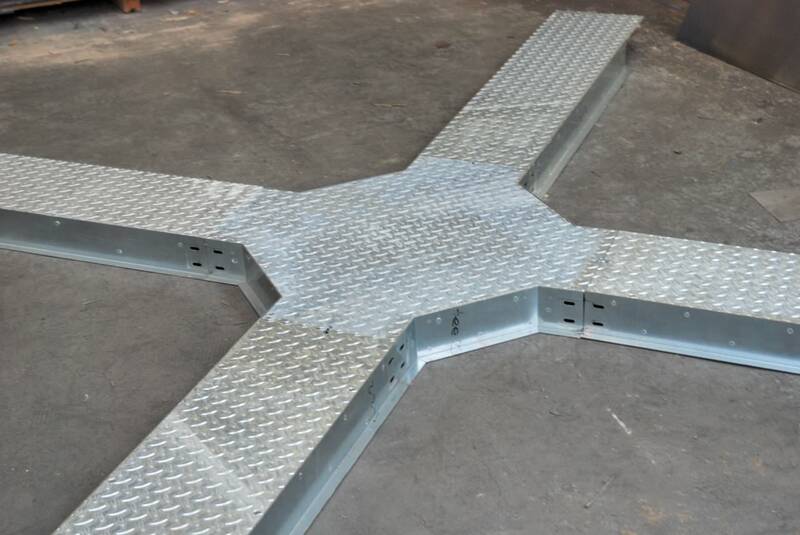 For previous clients we have provided steel suspension additions. These allow trunking to be fitted into oversized apertures, which have been created in the flooring. Trunking can then be inserted and a perfectly flush finish achieved. 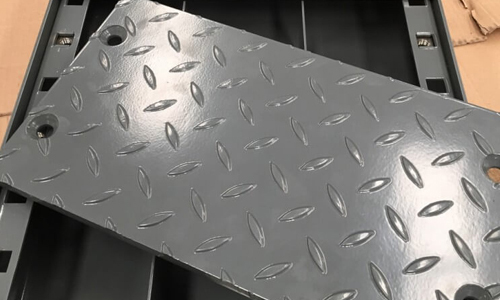 Using patented side flanges, secure trays, junction floor boxes and floor boxes we create a completely bespoke solution that is perfect for your application. Thanks to our patented Screeduct® flange fittings, there is no need to use mechanical fixings, which eliminates movement. Floor service outlets can be installed in various places along the floor wherever is the most convenient for you. This means that if you need to service or repair your cables or pipework, this can be done easily.